1. Select your project, your target OS and run the analyzer. 2. Review summarized scanning results show problematic API usage counts. 3. 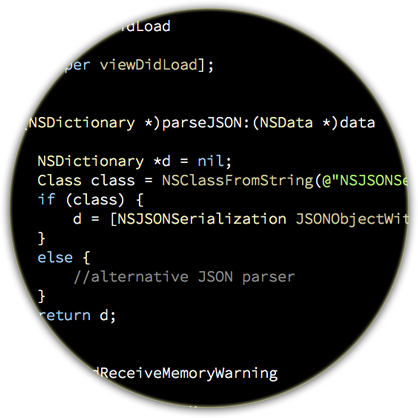 Inspect specific warnings in a built-in source code viewer. 4. 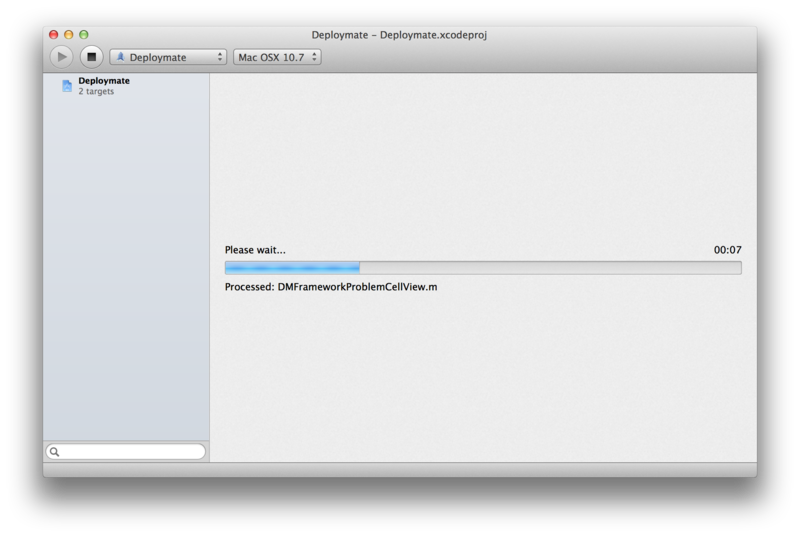 Once problems are identified, fix them in Xcode. 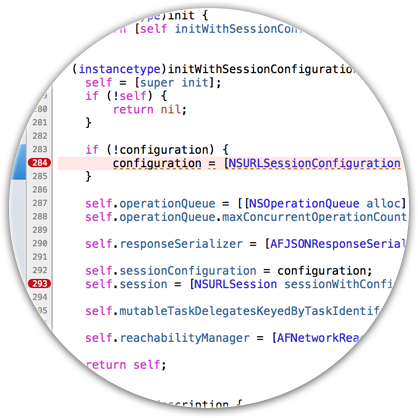 Deploymate features a unique source code analysis engine that will detect usage of unavailable APIs within your project and warn you early about them. 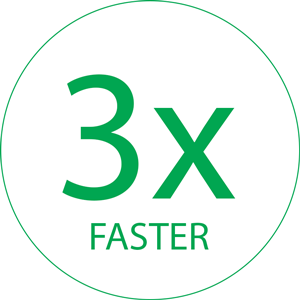 Run Deploymate from Terminal or hook it into your continuous integration server for even better workflow. 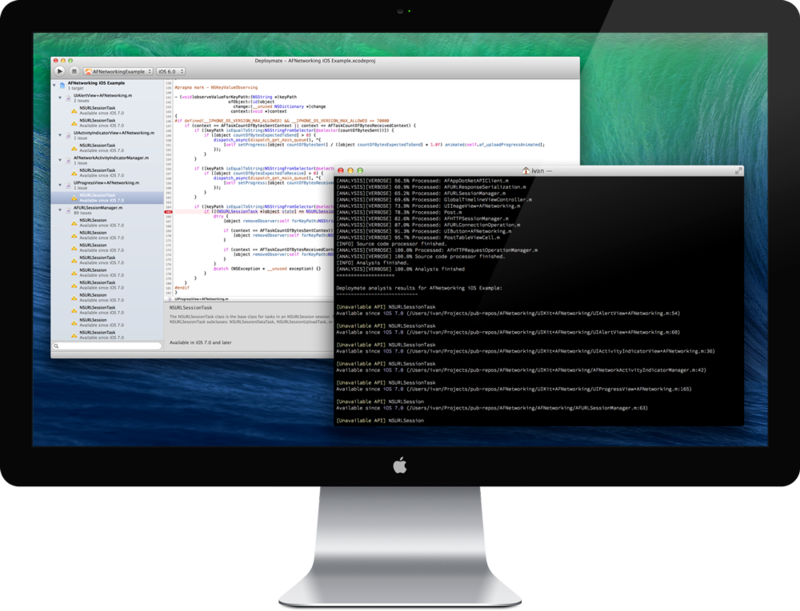 Source code analysis has been improved starting version 1.2 and is as much as 3 times faster than previous versions. 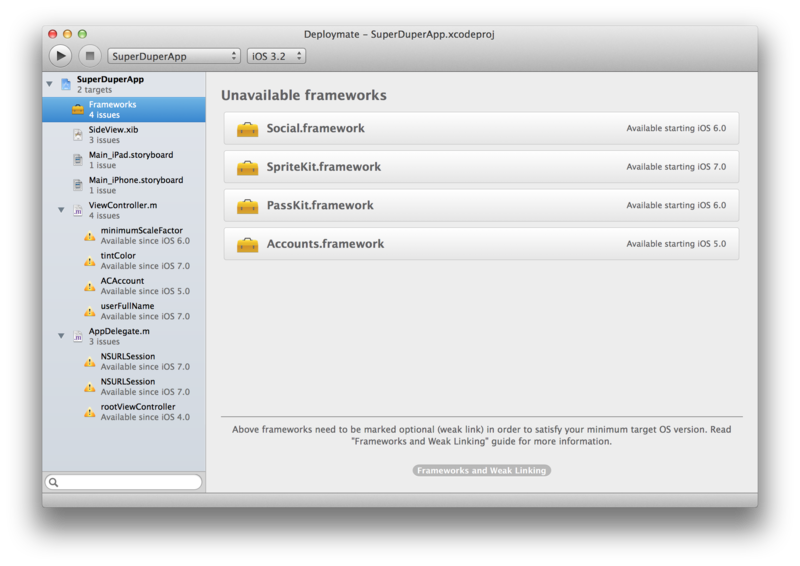 Find unavailable, deprecated or obsolete APIs for the OS version you want to deploy on. Run OS compatibility tests in no time. 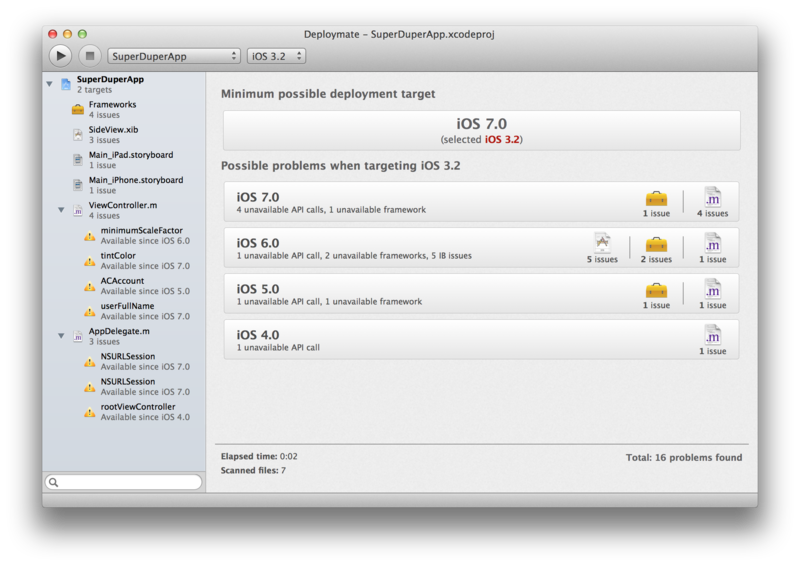 Deploymate will read your Xcode project and if you have multiple targets, you can choose which one you want to run analysis on. Deploymate is "point & shoot"! 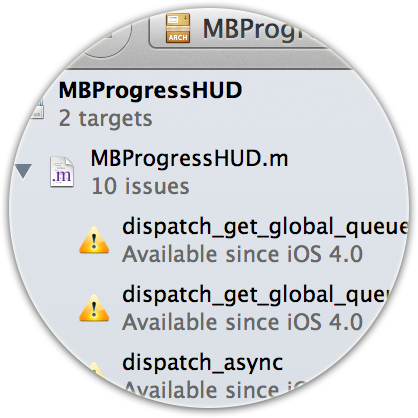 Just open your Xcode project, hit the "analyze" button and wait for the analysis results. 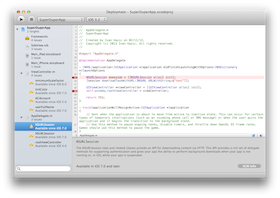 Inspect your problems right away without leaving Deploymate in a syntax highlighted source code viewer. 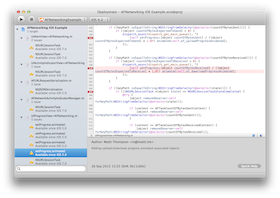 Quickly open problematic source files in Xcode where you can fix the problem. 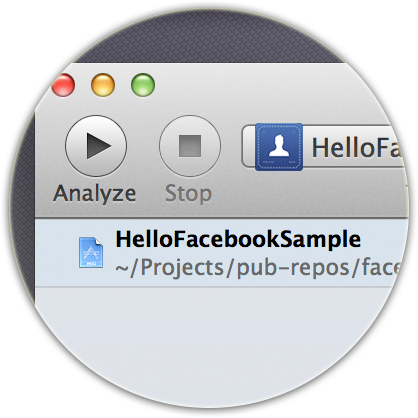 Open files from the sidebar or main toolbar. 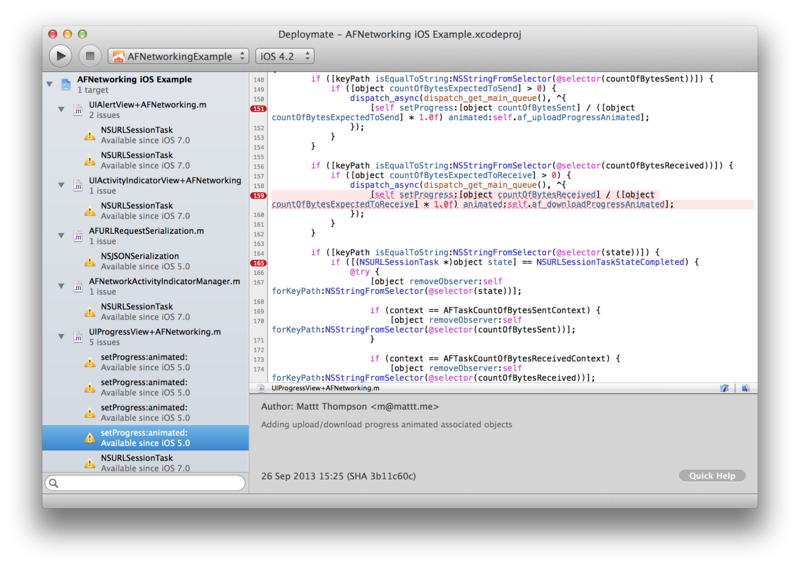 Deploymate shows you relevant API documentation abstracts when you're inspecting a problem for better context. CLI makes it easy to add Deploymate to Jenkins or any other CI for powerful source code inspection in your continuos builds. Find out when a certain problem was introduced and by whom. Every warning in Deploymate shows you git-blame information. Easy warning list filtering in sidebar. 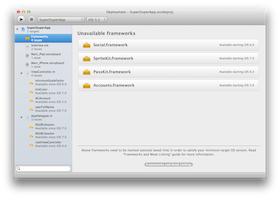 Quickly filter through problems found with specific SDK versions or just do a fuzzy search. 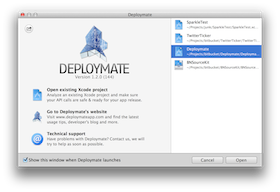 "Every iOS and OS X Developer Needs Deploymate"
"This app should be a part of every iOS developer's toolkit. Great app!" "An essential Xcode companion for iOS developers"
"Deploymate looks amazing. I’ve wished Xcode had this for years." "Deploymate checks API compatibility with your minimum target OS. Instabuy."